It’s Paper Pumpkin time, yipppeeeee! It’s also time for a Paper Pumpkin kit give-away, leave a comment on this blog post to enter to win my “Seriously Amazing Paper Pumpkin kit” (Details below). 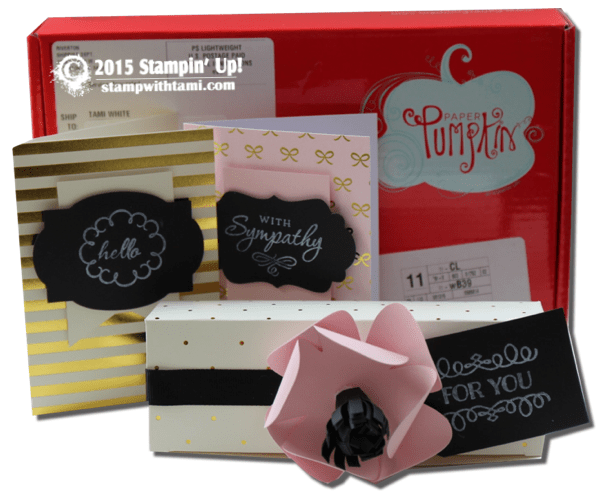 “Chalk it up to Love” is the name of the August 2015 Stampin Up Paper Pumpkin kit and exclusive stamp set. I think this may be my new “most favorite” PP kit ever! I designed these 2 beautiful alternate cards using the kit. There’s a fun video below, in which I confess a “dirty little secret” about one of my addictions to pearls, and the support group I may start. Maybe you share this addiction? The PP kit August exclusive stamp set includes the photopolymer stamp set, also has a Whisper White craft Stampin’ Spots. 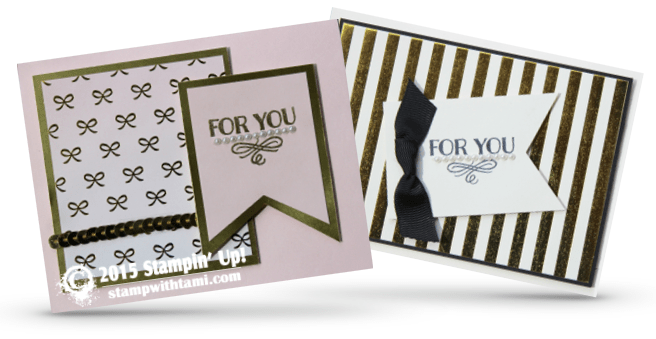 die cut banners, flowers and fringe, tags and gold foil note cards and envelopes. It also comes with instructions to make 6 cards and 3 boxes. I’ve also posted a 2nd video below to show you how to put it together. 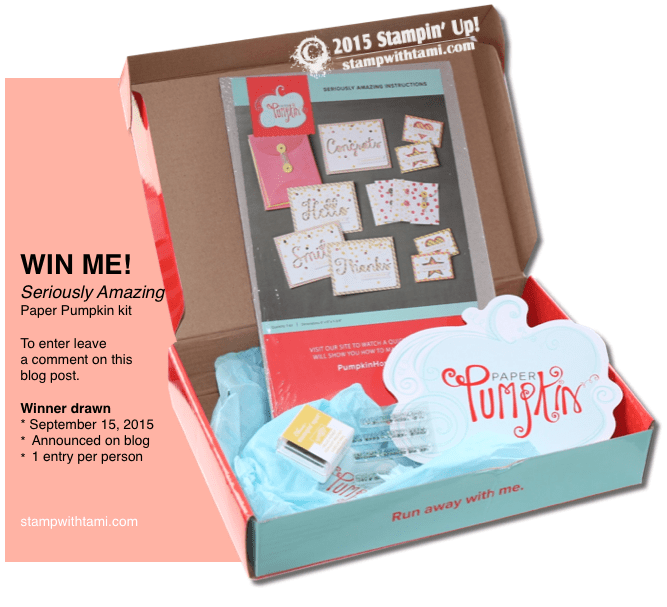 Win a free “Seriously Amazing” Paper Pumpkin kit from me! Simply leave a comment on this blog post between now and September 15, 2015 to enter. I will announce the winner on my blog and Facebook. Note: only comments on this blog post count. Comments on my other posts, Youtube and Facebook are always welcome, but don’t count towards the drawing. Really want to try paper pumpkin! Sooo excited!! The pink and gold are so rich looking-love that combo! Very pretty kit. I also like the die cuts cards from the Seriously Amazing kit, Pretty cool that you get inks and stamps + the cards. I’m so sorry I missed out on that kit, I love it. Can’t wait to receive my 1st kit this month. I keep checking the mail each day, excited.